It doesn't need to be said really, but most ads I just flip past. However, for a few seasons now, I've found myself taking a few moments longer to gaze at the Max Mara ads. The styling is simple, the models' make-up is clean and elegant; you just don't need much more. The coat does the talking. Magically, softly, the camel-hair and silk come to life. I just imagine the weight as the coat slipped over my shoulders. It's not the kind of weight that slows you down. 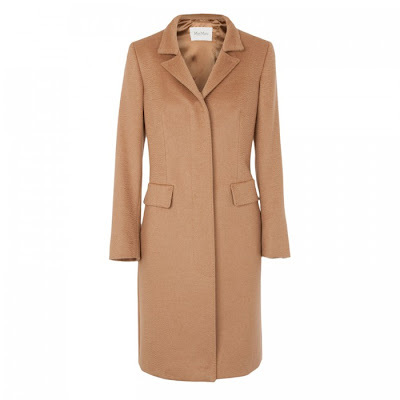 It's the kind that keeps you warm and reminds you that this $795 coat was worth every penny. Then I turn the page and the imagined scenario vanishes. I am brought back to reality with the more realistic outcome of a purchase of this magnitude. Trevor would flip his lid if I blew half my savings on a coat. Not as furious as he would be if I spent it on shoes, but pretty upset. I will just have to live vicariously through Freja.